On Oak Spring Road there is an old log cabin, Woodchuck Lodge, nestled in five and a half acres of wooded land in a suburb north of Chicago. Many animals and birds make their homes in the trees, plants, and grass surrounding the cabin. One of these creatures is Squirrelly, a hardworking squirrel who enjoys life to the fullest and embraces new challenges and experiences. And then one day he meets Starlett, the love of his life, and his life becomes even more exciting! This delightfully illustrated book follows the adventures of Squirrelly and Starlett and their little family. It’s a story that’s sure to warm the hearts of readers young and old. Larry Friend lives in Libertyville, Illinois. He is a firm believer that the study of nature leds to better understanding of life. Sidney “Mindy” Makis lives in Boca Raton, Florida. She is a registered nurse and a talented illustrator. 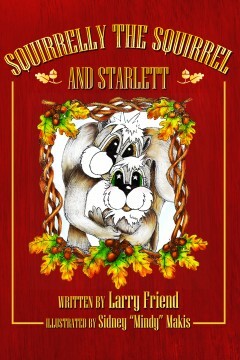 Squirrelly the Squirrel and Starlett is the second book from this brother and sister team; their first book, Icy the Iceberg. Follow ICY on his incredible journey… Beginning his life as a sparkling snowflake. Finding himself squeezed for hundreds of years beneath tons of snow. 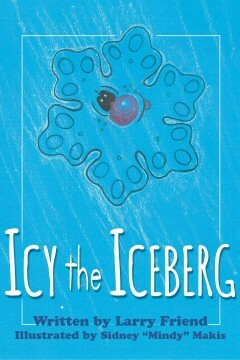 You will fall in love with ICY the ICEBERG! Larry Friend is living in Chicago, Illinois. Sidney “Mindy” Makis is living in Binghamton, New York. This has been a wonderful project for a brother and sister.